MySQL 8 - Show Geo Location features through a case study. More and more people have mobile phones and more and more people use some IoT devices which are which are collecting many metrics and details example the Geo Locations. In this presentation, I am going to focus on the Geo Location data and how the new features in MySQL 8 can help us. I am going to show a use case from one of my customers. They are collecting location information from cars and one of their challenging problem to find cars which were crossing a randomly marked area on the map. I am going to show if MySQL 8 can help this and if yes how? Also the "traditional" show me the hotels/restaurants/pubs nearby me or in this city, is there any improvement in MySQL 8 which can help us here? Tibi joined Percona in 2015 as a Consultant. 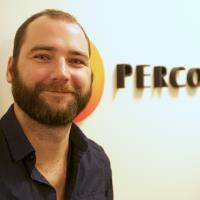 Before joining Percona, among many other things, he worked at the world's largest car hire booking service as a Senior Database Engineer. He enjoys trying and working with the latest technologies and applications which can help or work with MySQL together. In his spare time he likes to spend time with his friends, travel around the world and play ultimate frisbee.